· Is ADHD a genuine medical condition or a means of pathologizing active and exploratory behavior? · Do medications for ADHD serve as needed treatments, or are they attempts at social control, designed to bolster profits of pharmaceutical firms? · Has the ADHD label become a ruse by which parents can game the educational system for accommodations? · How do symptoms and impairments related to ADHD differ between girls and women and boys and men? · Why are ADHD medications often used as performance enhancers by college and high-school students? 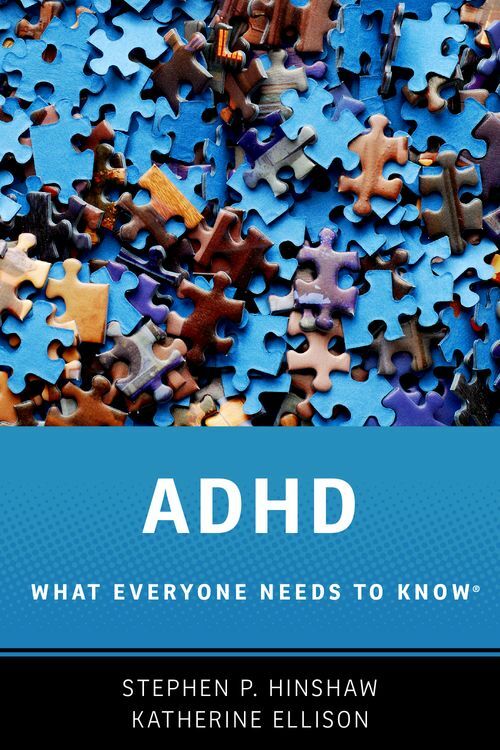 ADHD: What Everyone Needs to Know® clears the air of the most polarizing and misleading information that abounds, providing straight talk and sound guidelines for educators, policymakers, health professionals, parents, and the general public. It shows the reality of ADHD but does not ignore the forces that have pushed up rates of diagnosis to alarmingly high levels. Chapter 10: What Do You Need to Know About the "ADHD Industrial Complex"? Stephen Hinshaw, PhD, is an internationally recognized research investigator of child and adolescent disorders, award-winning teacher, and author of more than 280 research articles and chapters plus 12 books. His most recent book, with Richard Scheffler, is The ADHD Explosion: Myths, Medication, Money, and Today's Push for Performance. He is a professor of psychology at UC Berkeley and vice chair for psychology in the department of psychiatry at UC San Francisco. Katherine Ellison is a Pulitzer-prize winning reporter and author of several books. She specializes in writing about neuroscience, learning disorders, and education. Her books include The Mommy Brain: How Motherhood Makes You Smarter and Buzz: A Year of Paying Attention.